At an event yesterday at the NASA Ames Research Center, where the D-Wave computer is kept, Google and NASA announced their latest findings – and for highly specialised workloads, quantum annealing does appear to offer a truly sensational performance boost. For an optimisation problem involving 945 binary variables, the D-Wave X2 is up to 100 million times faster (108) than the same problem running on a single-core classical (conventional) computer. Google and NASA also compared the D-Wave X2’s quantum annealing against Quantum Monte Carlo, an algorithm that emulates quantum tunnelling on a conventional computer. Again, a speed-up of up to 108 was seen in some cases. As always, it’s important to note that D-Wave’s computers are not capable of universal computing: they are only useful for a small number of very specific tasks – and Google, NASA, and others are currently trying to work out what those tasks might be. 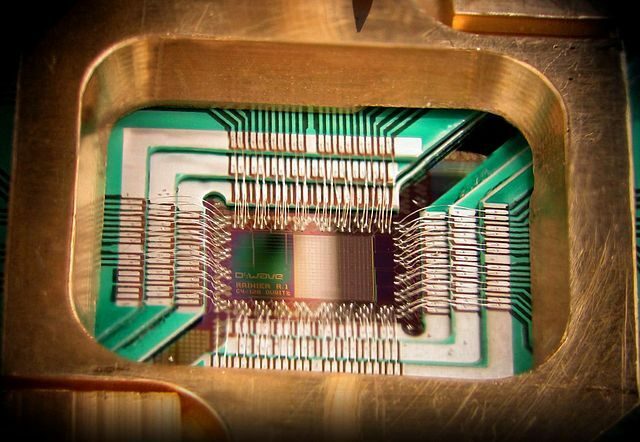 D-Wave’s claim of “over 1,000 qubits” is also unclear. In the past, several physical qubits were clustered to create a single computational qubit, and D-Wave doesn’t make that distinction clear. We will publish a further, in-depth report about Google and NASA’s latest findings in the next few weeks.